3-5 Tablespoons Milk depending on how thick you like it. Hold the phone!!! Whilst half a tin of Quality Street is an enlightening thing, it's not exactly going to see you closer to your health & fitness goals if you keep doing it. Behold the recipe for protein jammed snacking that's RIDICULOUSLY easy to make!!! To make the oat flour just chuck some oats in a small blender & make a fine flour. Mix the Oat Flour and Powder together & add the Milk one spoon at a time until you get the thickness you like. 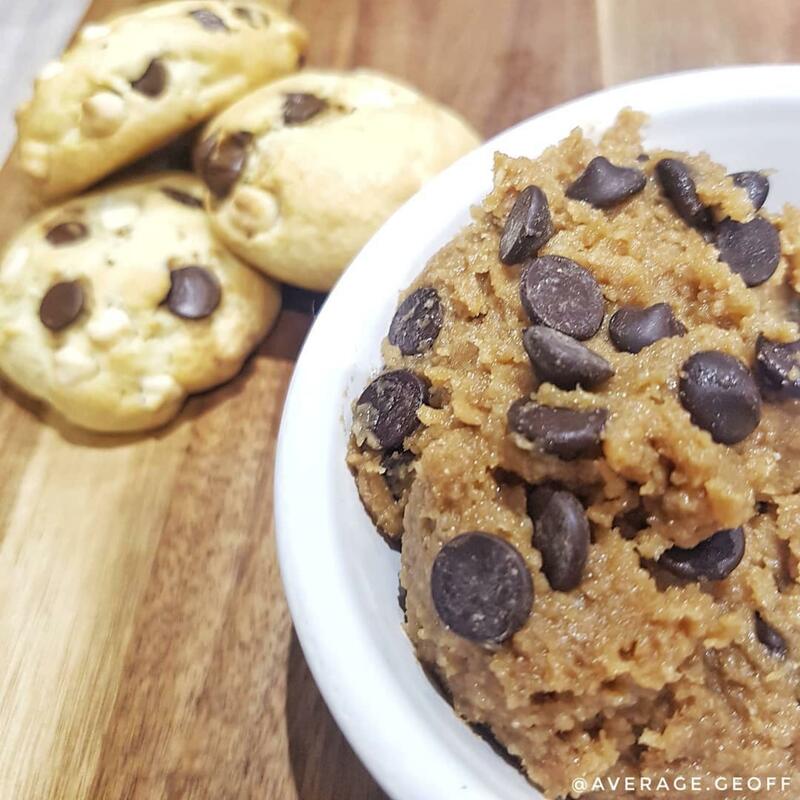 Add whatever cookie topping you like but remember it'll change the calories and macros. Have an awesome day and go get at it! !